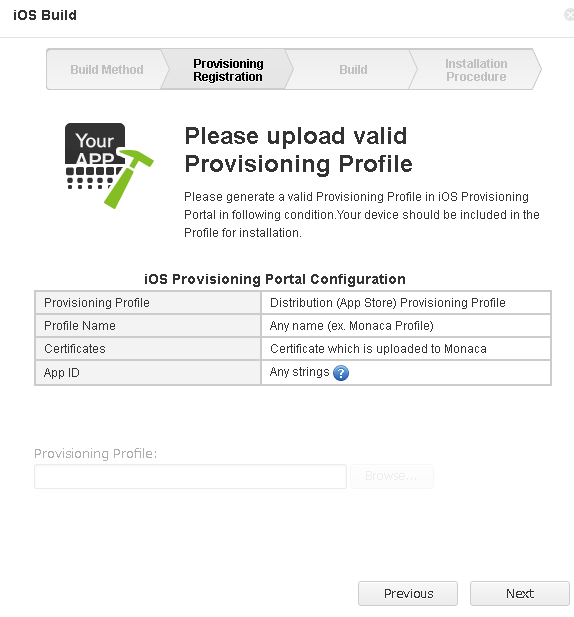 RE: uploading Provisioning profile again? Even though, the browser button is likely disabled, I still can click on it. My mistake. coz, I didn’t see the button on my another PC, it should be the monitor brightness problem. How to upload Provisioning profile cert again when I build release ipa file?